It's almost upon us, the next installment to the blockbusters Star Wars Saga, but details are still wrapped up and that just adds to the thrill of the wait. Star Wars: The Force Awakens is coming at the end of the year and the team behind the movie waited two months prior before releasing anything solid... And the trailer is coming next! The movie is directed by J.J. Abrams and stars John Boyega, Daisy Ridley, Adam Driver, Oscar Isaac, Andy Serkis, Lupita Nyong’o, Gwendoline Christie, Crystal Clarke, Pip Andersen, Domhnall Gleeson, and Max von Sydow. The original cast, inclusing Harrison Ford, Carrie Fisher, Mark Hamill, Anthony Daniels, Peter Mayhew, and Kenny Baker, are back as well. The movie is written by by Lawrence Kasdan and J.J. Abrams. Updated: Here is the official trailer of Star Wars: The Force Awakens. 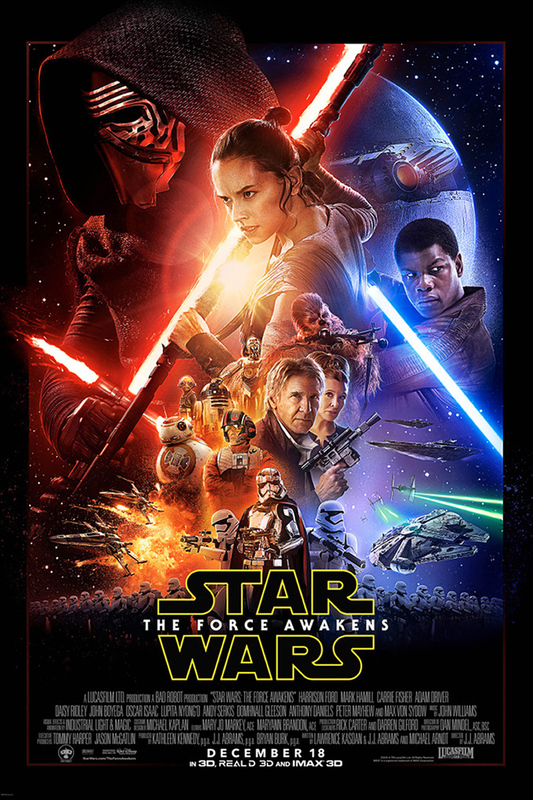 Check out the new poster of Star Wars: The Force Awakens. And here are some sneak peeks to the final trailer of Star Wars: The Force Awakens. Once the final trailer is released I will add it here. The synopsis of the movie is still tightly locked inside the Disney Vaults, but it's only about time that this will be revealed... very very soon. Star Wars: The Force Awakens will hit cinemas on December 18, 2015.